Sequel which doesn't deviate from the original Zelda-like formula. 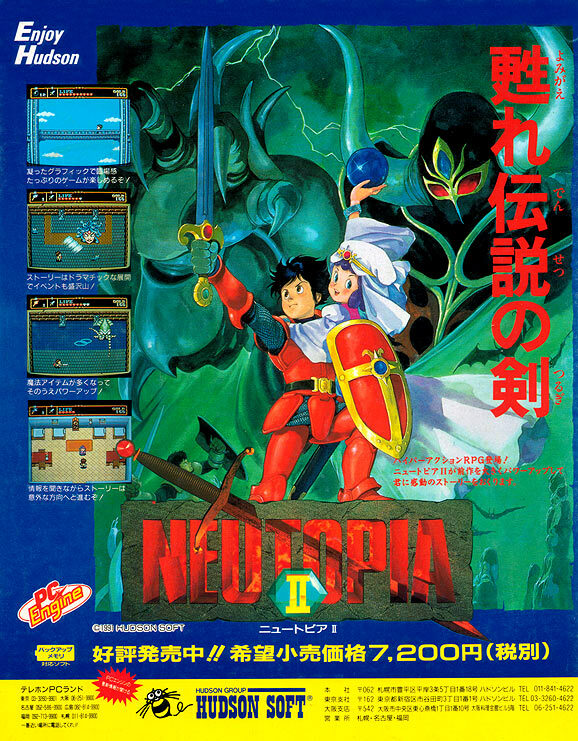 Neutopia 2 is another great game which actually did see a translation to the west. It's often said that if you're a fan of Zelda games, you'll like Neutopia, and it's not hard to see why. This looks like something halfway between the first Zelda and Link to the Past, the same as the first game, though generally more polished. I have to be honest, not that I'm an RPG aficionado, I think this is probably the best RPG on the system. I like its simplicity, and I'm much more comfortable with this style of gameplay than Ys's bump-to-hit mechanics (and Ys's massive stat window - why?!?). I love puzzle type action RPGs (and obviously Zelda) and this is probably the best game I haven't devoted enough time to.